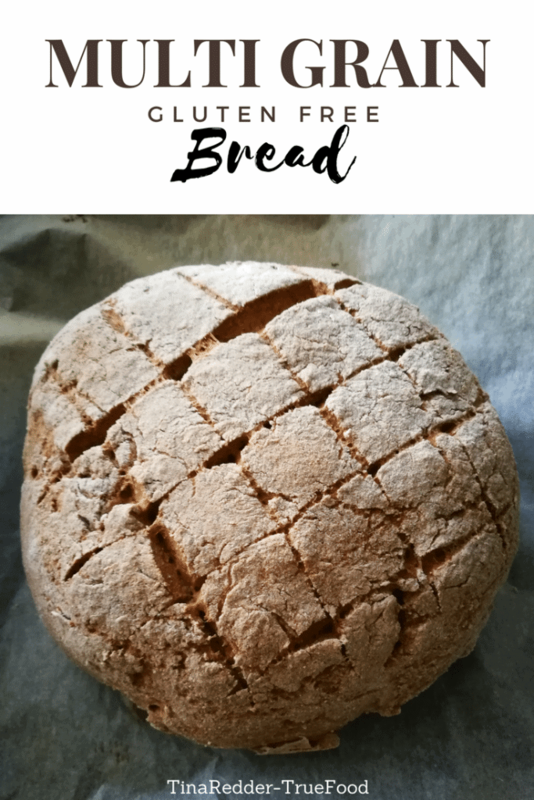 I don’t know but I have been craving bread lately … and sandwiches … the main reason why I have been testing recipes like this gluten free multigrain bread I am sharing today. 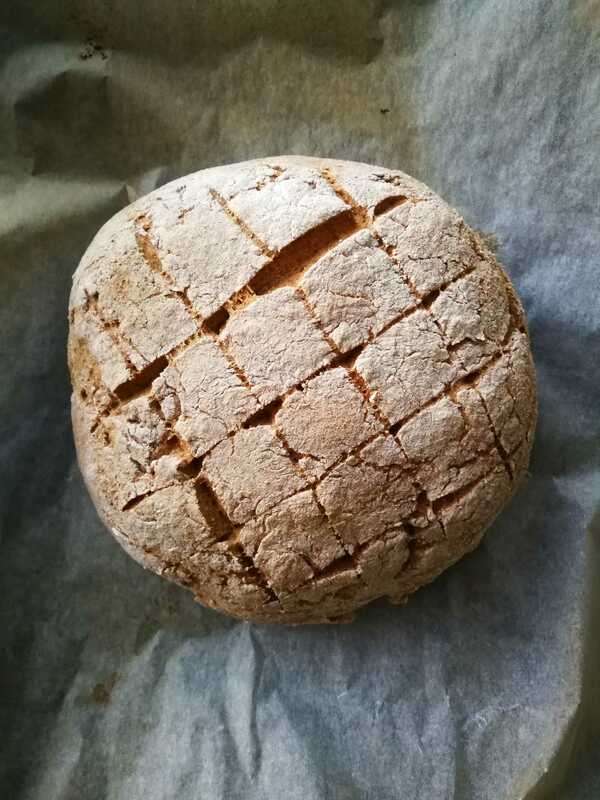 Gluten free bread is not an easy thing to make if you want to keep it as healthy as possible. Lot of GF breads are made of all kinds of refined flours like rice, corn and potato starch. Yeast is not something I wanted to add. Yeast would make the bread lighter you could try adding it in if you don’t mind using it. I love this type of bread, reminds me of when I was young. 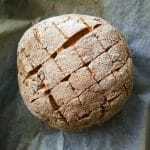 I like to add psyllium husk to my gluten free breads , it keeps them moist and holds it together. 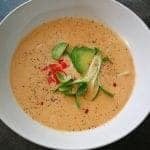 You find the printable recipe at the bottom of this post. 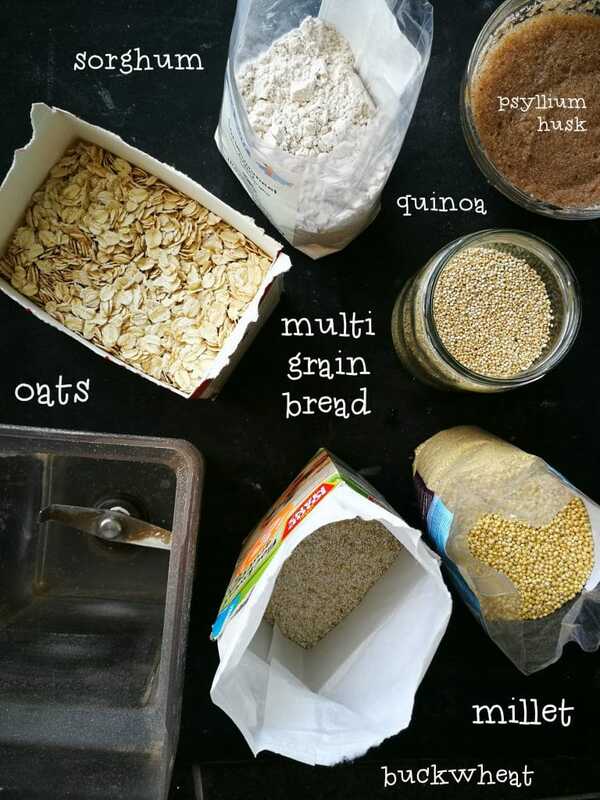 For this bread I choose buckwheat, millet, quinoa, oats and sorghum. The first four I blended in my Blendtec blender to make flour, you can of course by those already milled into one but I think it is so easy to just blend some when needed. If you haven’t used sorghum flour before you should try it! Sorghum is the fifth most important cereal grain in the world. It is considered to be an ancient grain, originated in Africa thousands of years ago. Sorghum is gluten-free and it has a more diverse nutritional profile than many other gluten free grains. It is rich in iron, magnesium, potassium, zinc and niacin. Sorghum is easy on the digestion and is rich in fiber. You can choose between the white or wholegrain variety. 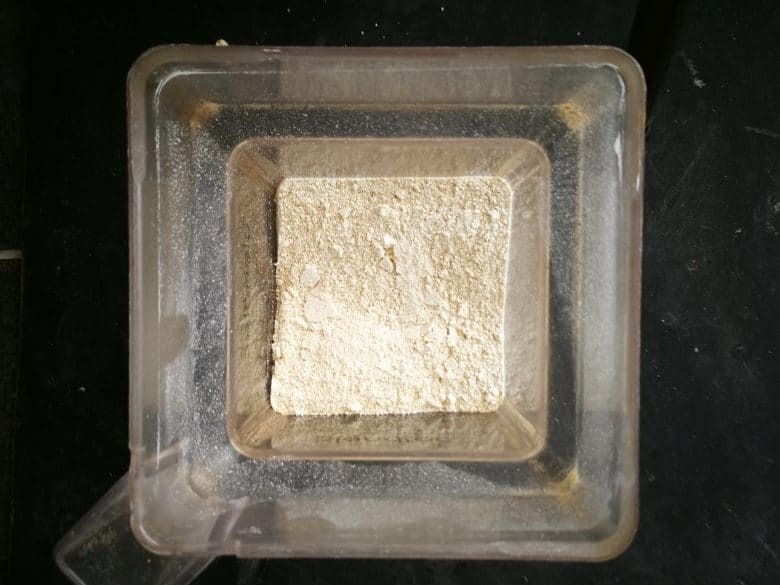 The psyllium soaks up water like crazy and it becomes this gel like mass. I make this bread in my food processor, the easiest way to get it together. After processing it starts to from a nice doughy like consistency, a bit sticky but not too much. 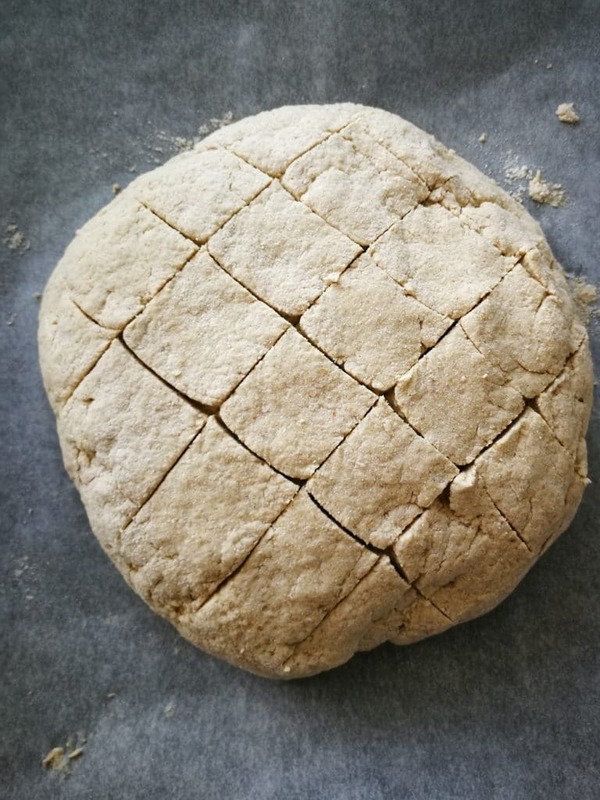 I formed it into a round bread, you can also make 2 small baguette like shapes out of this amount. I cut the top cause it looks good and you get such a delish crust pieces once baked. The bread slices pretty good and the structure reminds me of a hardy sourdough without the sour taste. It works delicious with smashed avocado and salt or a good vegan cheese. It is not too salty so some kind of a jam would also work. I am making a sandwich with it for sure! 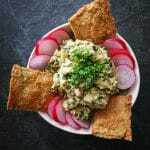 For more gluten free baking check out this Chickpea Hummus Flat Bread recipe! Made with chickpeas, cauliflower and brown rice flour. Now off to make a sandwich …. 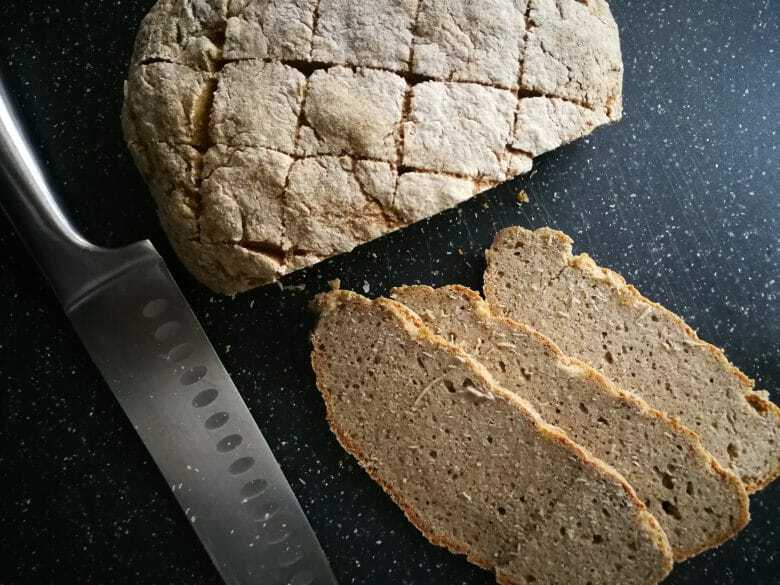 A whole food kind of bread using 5 kinds of delicious healthy grains. Yeast and gluten free. Preheat oven to 200C. I like to place a ovenproof dish on the bottom with water to make a steam in the oven. Mix the psyllium husk with 1 cup of water and let it thicken. Whisk so it wont form lumps. 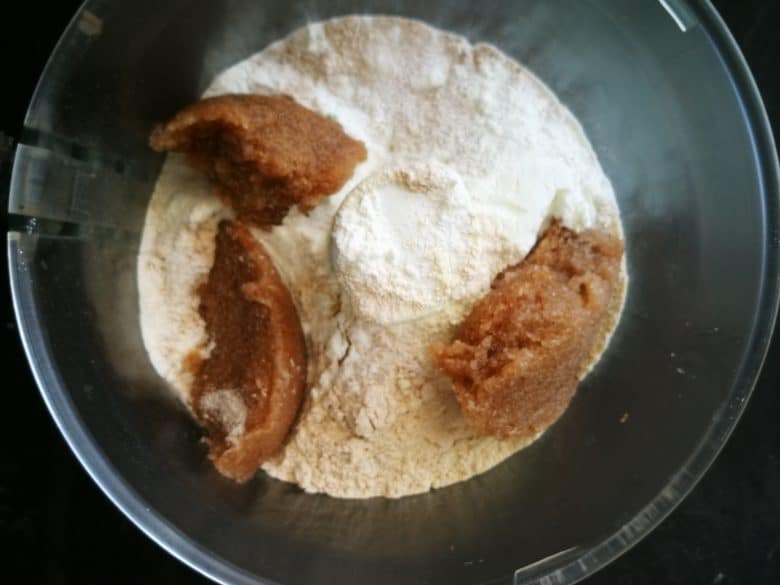 Add the flours to a food processor, add in the salt, baking powder, remaining water and the psyllium gel. Process until it comes together as a dough. 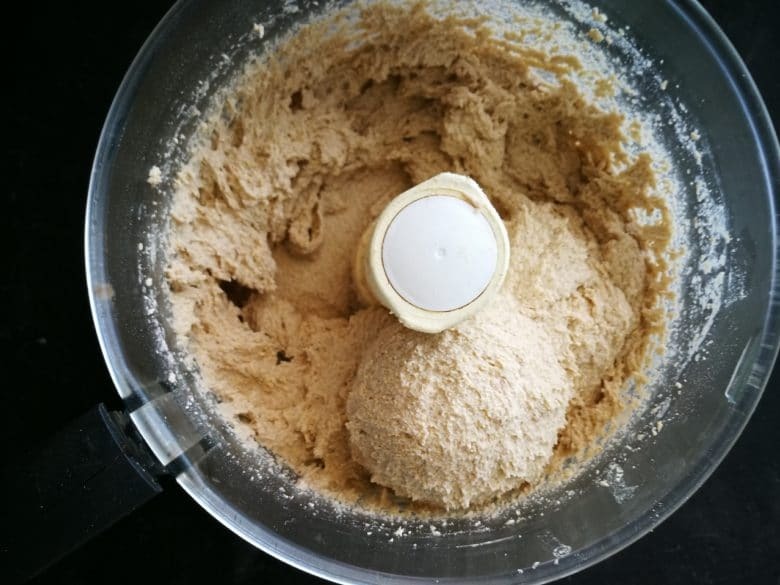 Form the dough into a bowl. When making baguettes or other shapes the baking time may vary. Bake for about 60 minutes until light golden and when you tap on the bottom of the bread it makes a hollow sound.